Waste pickers are vulnerable individuals – migrants, the unemployed, widows, people with disabilities, the elderly, children, all of whom are unskilled and have little education – who work in the streets and at final disposal sites, the Ministry of Environment and Water said in its loan proposal document. 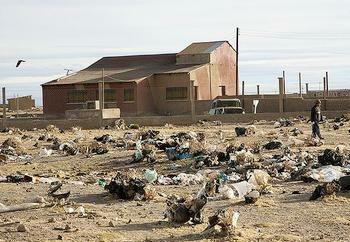 About 10,000 Bolivians work permanently as waste pickers as well as 10,160 occasional pickers. 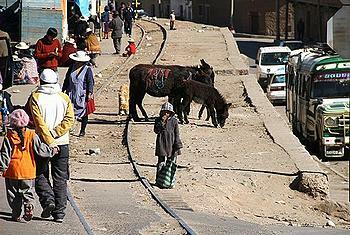 About 80 percent to 85 percent of them are women concentrated in La Paz, Santa Cruz, Cochabamba, and El Alto. In October, the Bolivian Congress approved recycling legislation that recognized the rights of the waste pickers and their associations for the first time. The legislative proposal establishes that the state, through particular departments, recognize and formally certify waste pickers as competent workers, regardless of the manner in which they acquired their skills. The legislation states that municipal governments should support the formation of associations or ventures for waste pickers to work as service providers. “Participation and training of all stakeholders at all levels of the solid waste management process is crucial to the financial and institutional sustainability of these municipal services,” the bank said in a statement today announcing the loan. Before awarding contracts for works financed by the program the ministry and each municipal government will sign an agreement specifying how the municipal government will maintain and operate its sanitary landfill. The municipal government must own or be entitled to use the land where the landfill will be located and the sites must have roads suitable for the transport of municipal solid waste. Before the start of the works for each sanitary landfill, the ministry will prepare an environmental impact assessment and an environmental and social management plan in accordance with Bolivia’s national standards and present them to the bank. According to the ministry, total municipal solid waste generated in the country is 1.74 tons. Of that, 87 percent is generated in urban areas and 13 percent in rural areas. Each household generates between 0.53 kg/person/day in the metropolitan capitals and 0.2 kg/person/day in the rural communities. Only 34 percent of Bolivians have trash collection services, although the average coverage in capital cities is 86 percent. Forty-five percent of Bolivian trash is disposed of in sanitary landfills (3.1 percent of municipalities), 18 percent in controlled dumps (6.1 percent of municipalities), and 37 percent in open-air dumps (90.8 percent of municipalities) with 30 percent of those dumps close to bodies of water used for human consumption and irrigation. The demand for waste management services has outstripped the country’s technical and financial capacity, leading to recurring shortfalls that sometimes give rise to environmental collapses, particularly in the capital cities, the government of Bolivia said in its loan proposal documents. In terms of financial sustainability, just 54 (17 percent) of the country’s 327 municipalities charge for the service through trash collection fees, which cover only 40 percent and 60 percent of operating costs. The shortfall is generally subsidized through municipal budgets. In most cases, there are problems associated with trash collection and transport service, including poor service and a lack of sufficient quality containers. As for final disposal, in cities such as El Alto and Cochabamba, disposal sites have exceeded their useful life or are approaching it with only one to three years of useful life remaining. The resources for the loan come from two sources within the Inter-American Development Bank – $16 million will be drawn from the IDB’s Ordinary Capital and will have a 30-year repayment term, a 6-year grace period and a variable interest rate. The remaining $4 million, financed by the Fund for Special Operations, will have a 40-year repayment term and grace period, with an annual interest rate of 0.25 percent.